Pink Zebra was such a fun project to work on! My client, Winery Exchange in Novato, CA, wanted me to create a label with a lot of personality, that would pop on the shelf and appeal to female consumers. I used a unique label shape, a fun texture on the zebra stripes and combined several hand-written style fonts to create an eye-catching, fun label. There is a Riesling, Moscato, Pinot Grigio, and soon a Sparkling varietal. This package won a 2014 American Graphic Design Packaging Award from Graphic Design USA. I would love to try the Rose Riesling! Very cool! 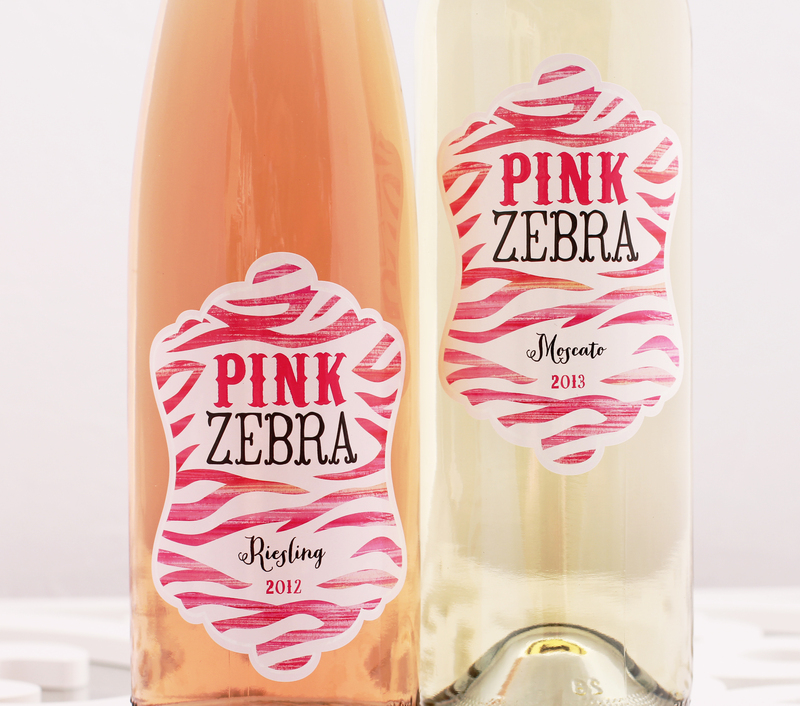 I love the taste of the 2013 Pink Zebra Moscato wine! It’s very tasty!